These macadamia nuts are flavored like Spam. 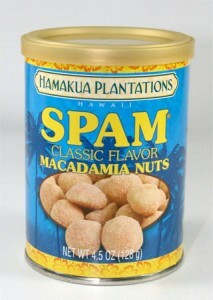 Both macadamia nuts and Spam are local delicacies in Hawaii. The customer reviews are all great, though. Maybe it’s me who’s missing out on this horrifying delicacy.